FRANKFURT -- Volkswagen brand continued to recover in its German home market last month with a 15 percent increase in registrations in a total market up 8 percent. Industrywide registrations in Germany rose to 314,055, the KBA motor vehicle authority, said in a statement on Thursday. The market was boosted by a surge in demand for SUVs and luxury cars. SUV sales jumped 30 percent year-on-year, taking the category's market share to 16.4 percent. Sales of luxury cars were up 32 percent, while sales of compact cars fell 2.6 percent. VW brand, whose sales were hit by the automaker's diesel scandal, has now recorded gains every month since January. Other winners include VW Group's Seat brand, whose sales rose 38 percent, helped by the expansion of the brand's crossover lineup, which now includes the subcompact Arona SUV, alongside the Ateca compact SUV. Peugeot registrations gained 28 percent. Dacia volume jumped 26 percent. Kia sales rose 24 percent, ahead of Toyota with a 20 percent rise and Hyundai, which gained 19 percent. Ford's registrations increased 15 percent, while Skoda was up 13 percent and Citroen rose 12 percent. Opel sales were sluggish compared with rivals, gaining just 3.2 percent. • Download PDF, above right, for German sales by brand for April. Losers in April included Alfa Romeo, whose sales dropped 26 percent, Fiat, which was down 25 percent and Renault, which fell 3.1 percent. Sales of Tesla vehicles fell 46 percent, despite its return to a government list of cars eligible for electronic car subsidies. Luxury brands had mixed results as Audi sales fell 1.5 percent, BMW brand grew 4.8 percent and Mercedes-Benz was up 7.7 percent. 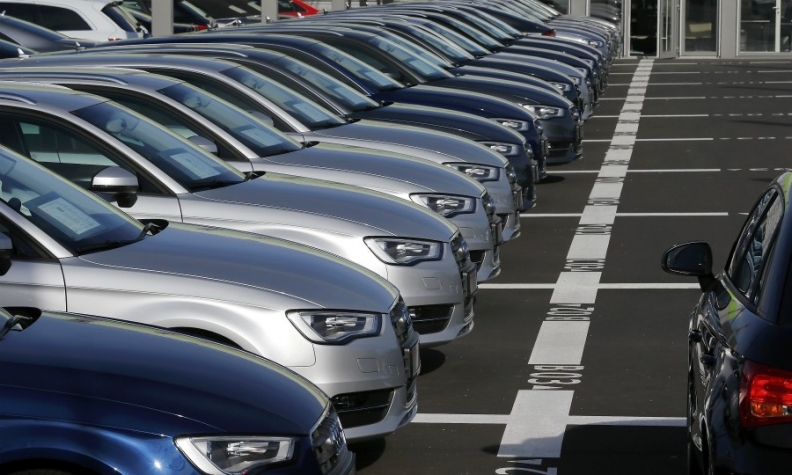 German sales of diesel cars fell 12.5 percent last month, giving diesel a share of 33.4 percent of the market. Registrations of gasoline cars rose 19 percent for a 61.6 percent market share. Registrations of hybrid cars leapt 69.8 percent, but still only accounted for 3.5 percent of the market. Through April, overall German sales were up 5 percent to 1.19 million.